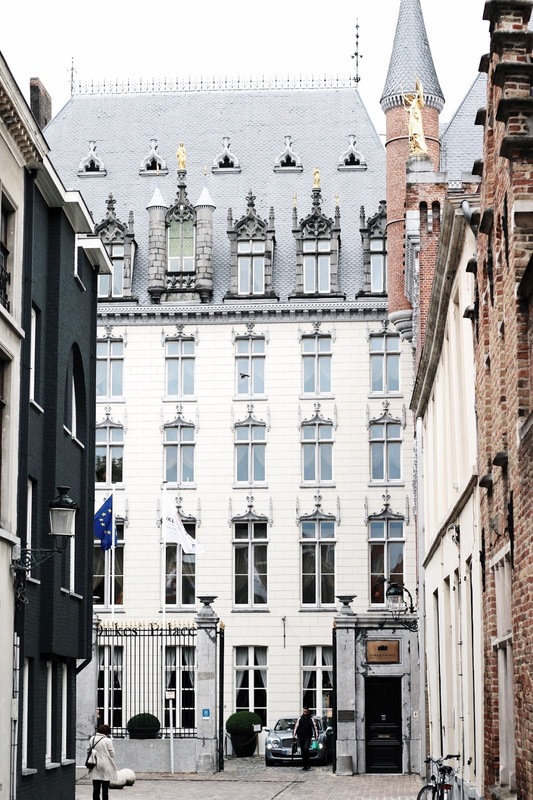 The five-star hotel is located at the heart of the city, and within walking distance from many of the places I featured in my recent Bruges travel diary. 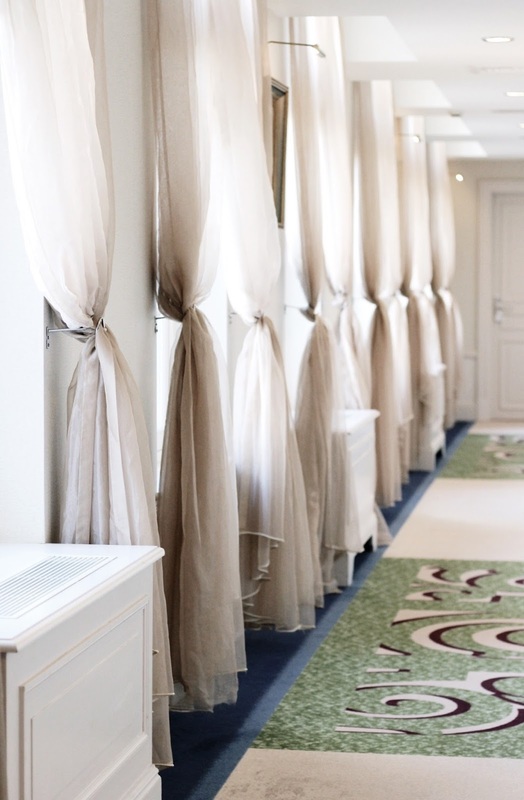 After spending hours roaming around from waffle shops to chocolatiers and back again, the tranquility of the Hotel Dukes' Palace refreshes you like no other; floor-to-ceiling voile curtains line corridors, Medieval-themed art covers walls and a beautiful combination of traditional elegance and modern design is carried throughout the hotel. Like I said, definite 'princess castle' vibes - without having to kiss a frog to stay there! 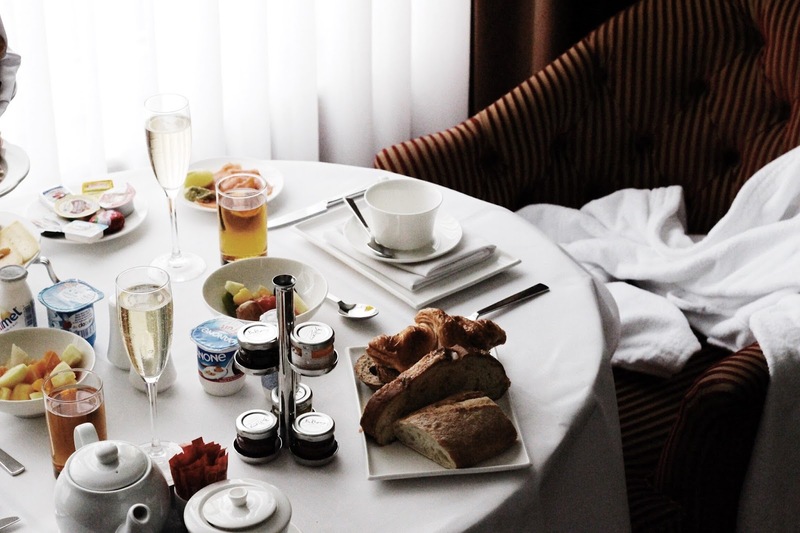 Does anybody else have a thing about making the most of room service when staying at hotels? There's something ridiculously comforting about sipping on champagne and slathering butter on bread, all the while in your dressing gown! 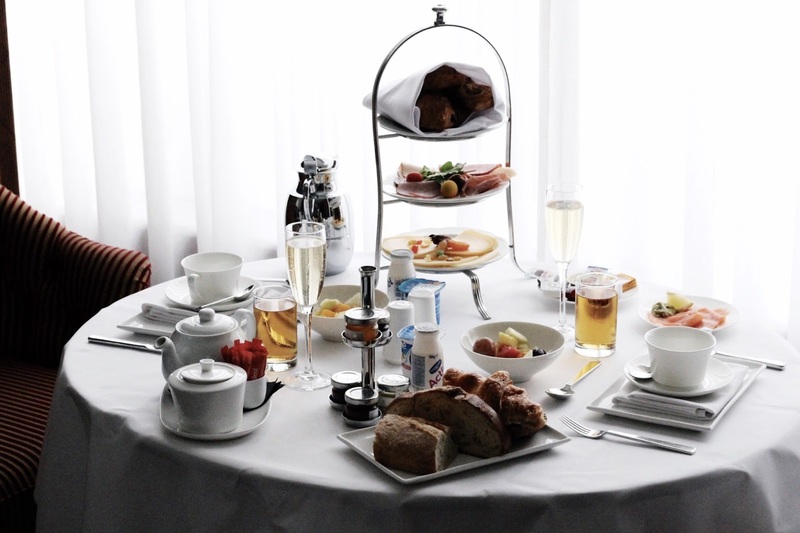 On the first morning, a generous breakfast was enjoyed in the room before heading out to explore. The best features? Smoked salmon and a delicious array of sweet pastries. 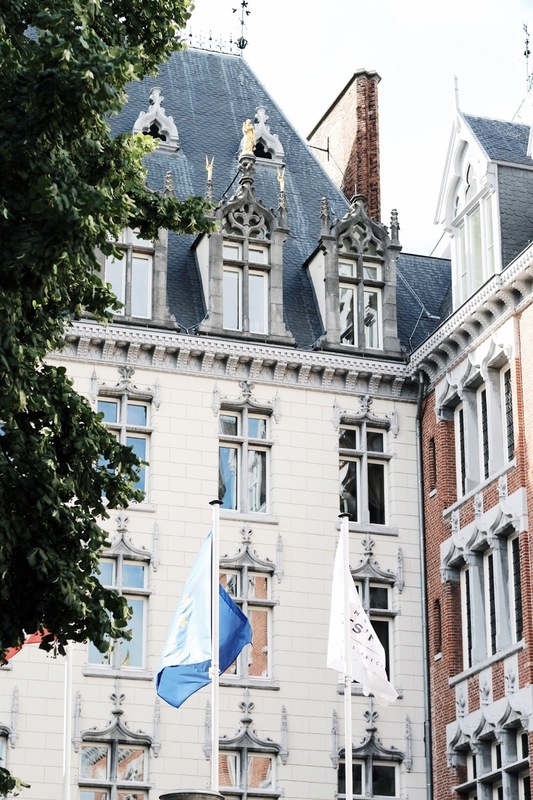 If you find yourself in Bruges anytime soon, waking up at this hotel to the sound of ringing bells and horse-drawn carriages, my advice would be to indulge in their champagne breakfast. It's the perfect start to any day spent in the UNESCO World Heritage city. 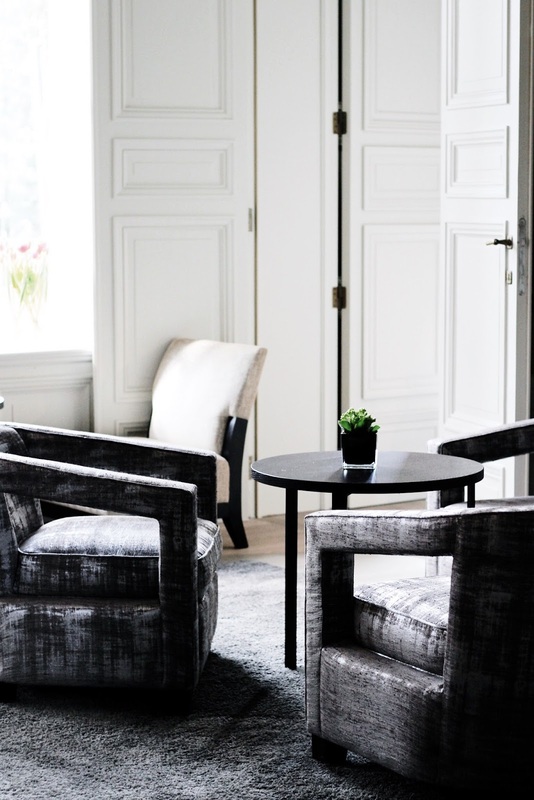 There are tons of different seating areas on the ground floor, including the gorgeous spot shown above that leads out onto the hotel's garden patio. 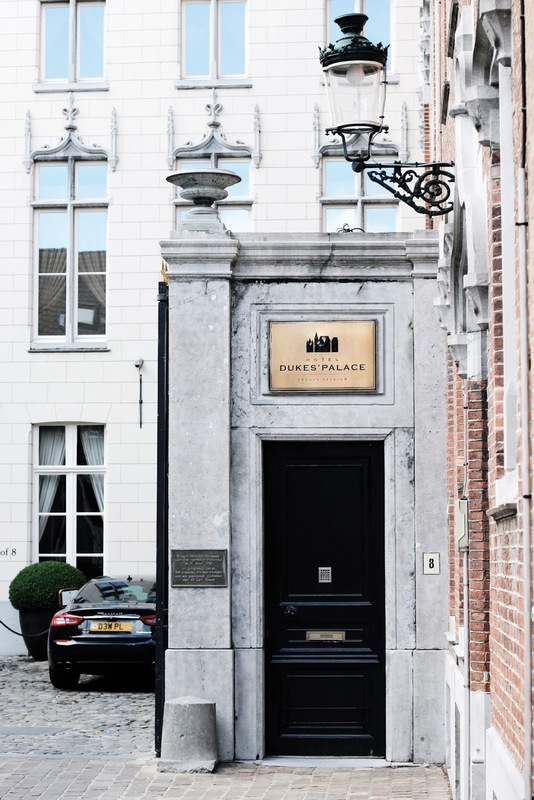 If 'Instagrammable' is on your travel tick-list when exploring new places, Hotel Dukes' Palace is definitely an avenue worth exploring. I mean, there's a reason I've returned three times now, it truly does give those 'princess castle' vibes! I can't wait to hear your thoughts on this dreamy hotel! Does anything in particular catch your eye? 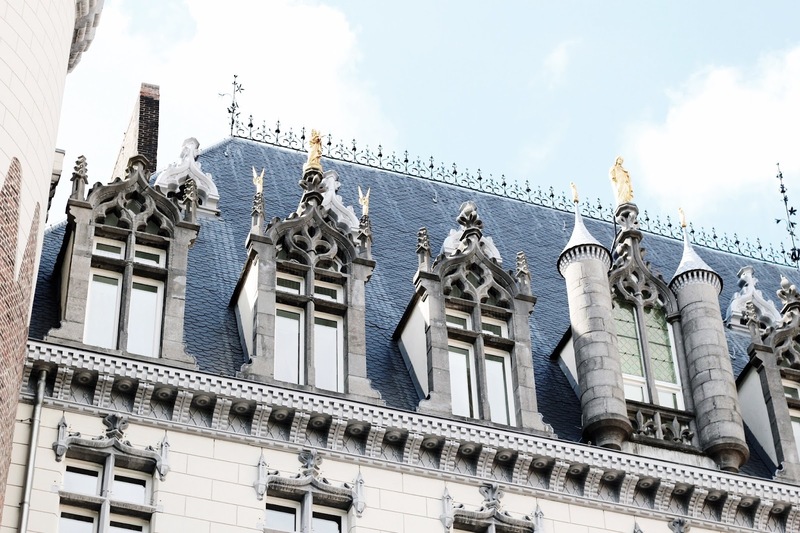 Also, let me know if you've ever stayed in a hotel that gave you those indisputable 'castle vibes' (because I need to go there!). 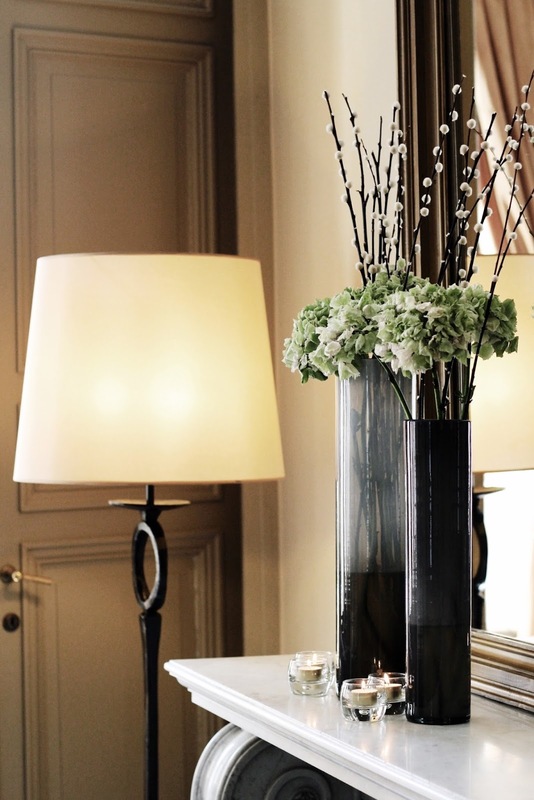 This hotel looks so elegant and beautiful ! This looks like a dreamy castle. I love the gold embellishments. The breakfast looks beyond delicious! Oh wow, it all looks so beautiful, I would love to stay somewhere like this, it looks lovely! So so pretty! Omg what a beautiful place to stay at and that food look so yumm, it made my mouth water. The architecture of this place is simply stunning, and the champagne breakfast looks very tempting indeed! That exterior! The paintings! I see you Modigliani! This place looks stunning, and I can easy understand the castle vibes. That's got to be so fun. 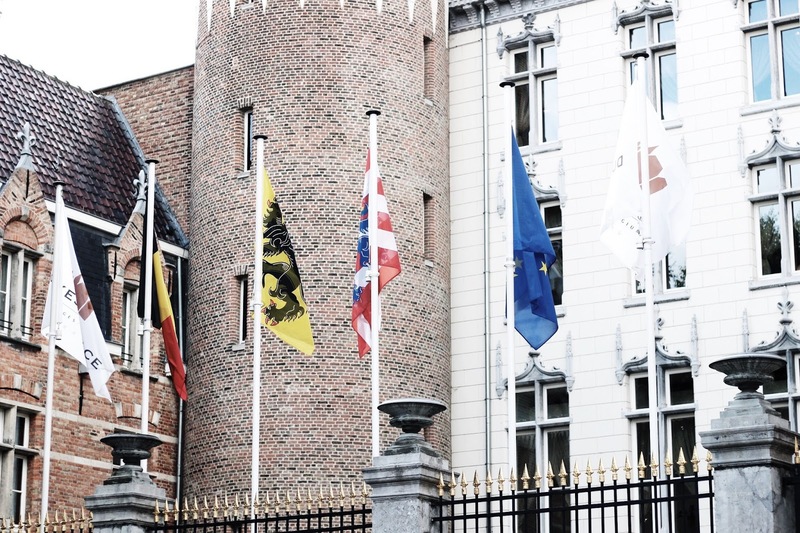 If I ever find myself in Bruges, I'm definitely staying there. Hands down. 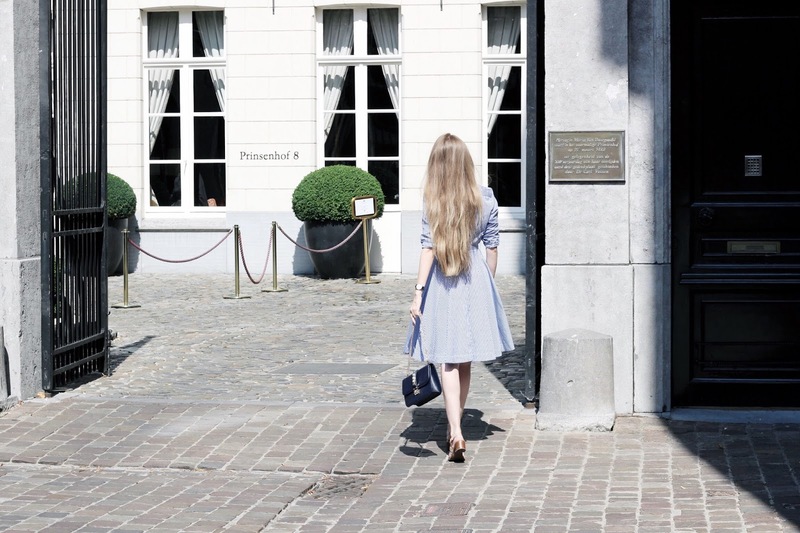 Also, you look straight out of a fairy tale with that dress and your long hair. You're doing life right. I bet that it is pretty easy to feel like a princess in a hotel that is as beautiful as this one. 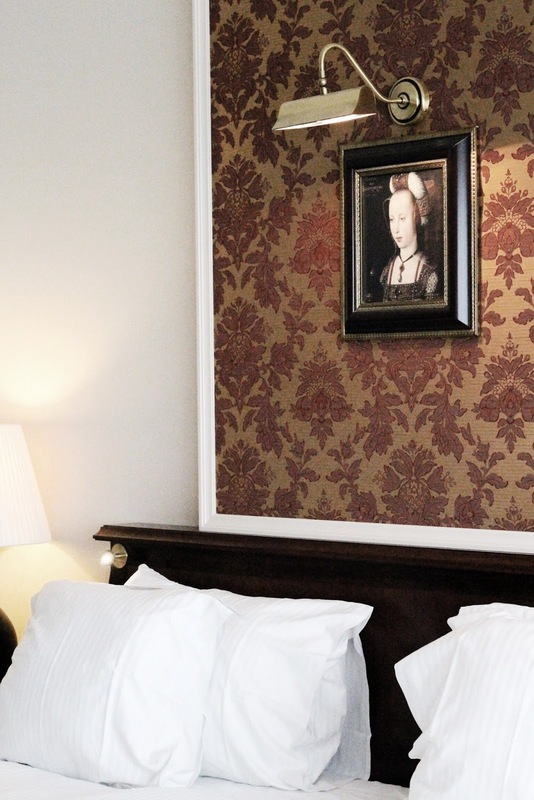 There is something royal about the decor at Hotel Dukes, I love it. Fantastic photos...and gosh, that breakfast does look yummy. This hotel is so charming! I can definitely see how you'd want to come multiple times to stay here, hehe. 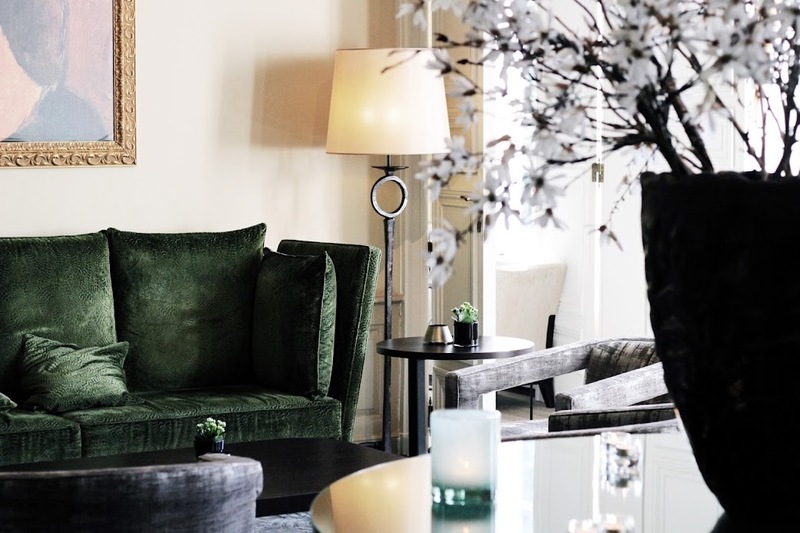 Beautiful, luxurious hotels always feel like a dream! This is particularly true here, the outside could be mistaken for a real castle! And having this lush breakfast before heading out to pretty Bruges must feel extra special. Also, I absolutely love your Ralph Lauren bag! Oh my gosh, it looks so charming and romantic! By the way, you are the Queen of detail shots, I love all the beautiful details like the curtains, the flowers, the furniture. What a great way to spend a getaway! Even though I do get what you mean when talking about places like that, I will still forever prefer the sleek and modern design myself. Oh wow! Such a beautiful place! Oh Gabrielle, you find the BEST hotels! You are so right, serious Princess vibes going on, what a beautifully designed hotel. 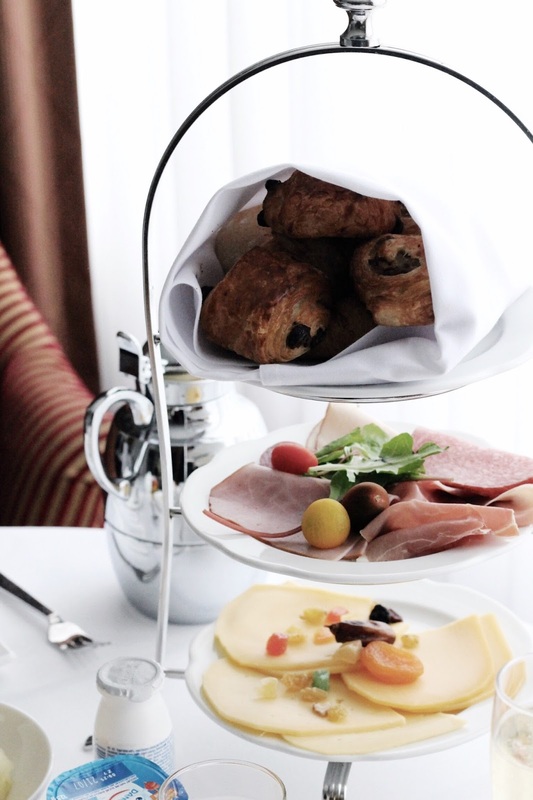 That breakfast looks mouthwatering, I most definitely need to start making the most of room service! What a beautiful and dreamy hotel! Loved it!!! These photos look so amazing! I love room service too! Your food seems super yummy! Lovely photos! Looks like you're really enjoying your trip. Can't wait for more photos. Amazing Photos! 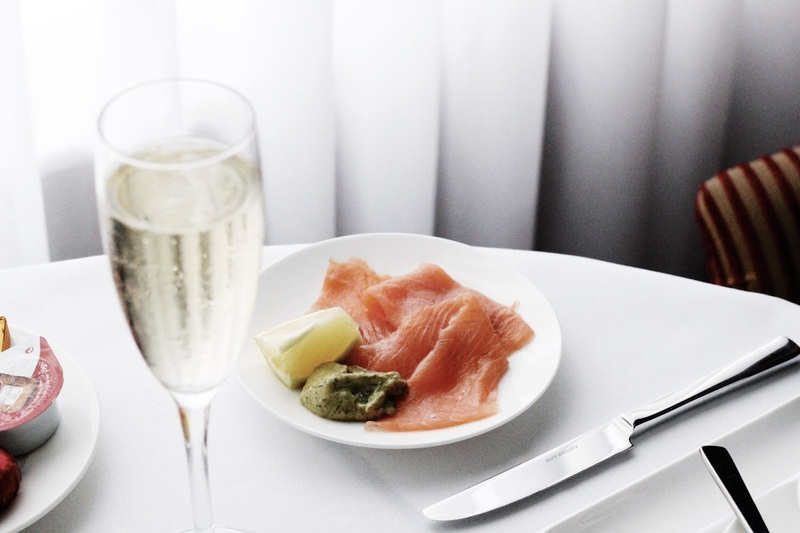 And yes I'm all about room service and sippin' champagne! How gorgeous is this?! I keep telling my fiancé that any inspiration for our future home has to come from hotels. This location has such unique flair - so classy and chic. 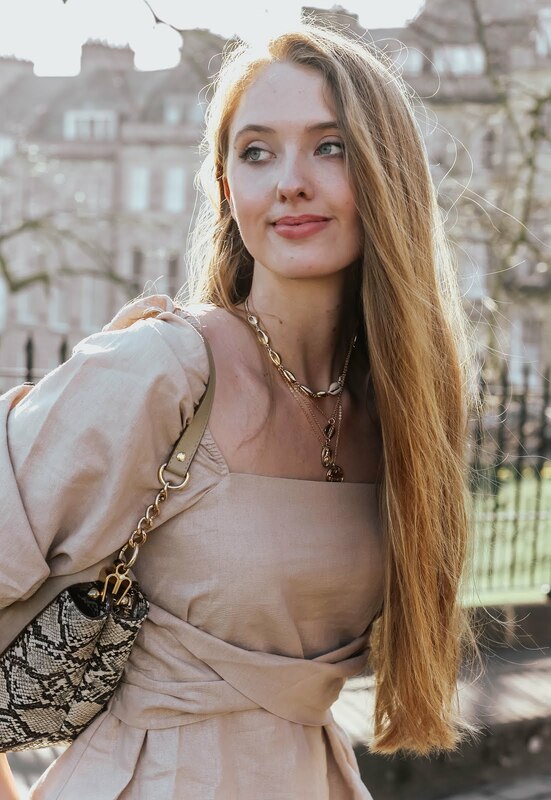 Love that bag too! The Hotel Dukes Palace Castle is soooooooo GORGEOUS Gabrielle! 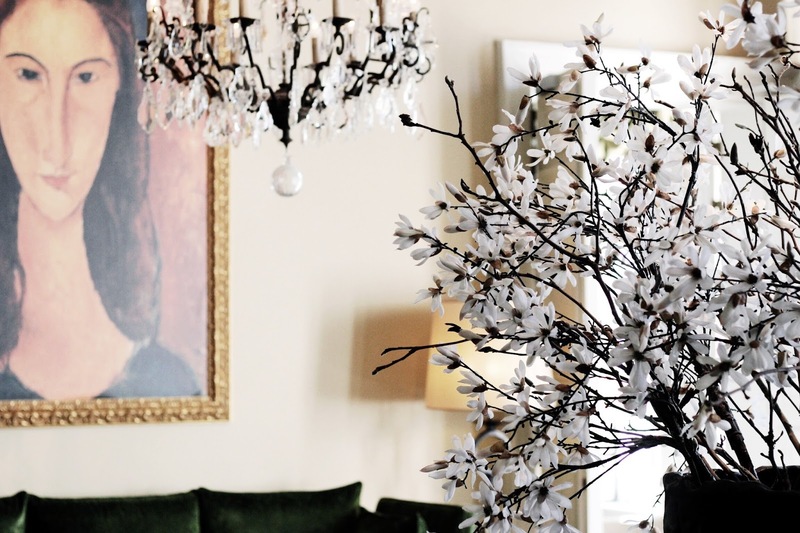 I love the furniture, art, chandeliers and flowers. Really stunning. What a stunning place! OMG so neat and fab! Lovely photos, Gab! What a dreamy hotel! That breakfast looks seriously amazing!! Wow these pictures are so beautiful. I would love to be there and have that food haha. You're the queen of hotel/castle review dear! Love your detailed description and the dreamy pictures, it makes me want to stay and indulge in their luxurious accommodation. Love bruges! It's such a great city with full of heritage. I've never heard of this hotel before but will definitely check it out. It looks super pretty! perfect place to have some tea! Wow, I love this hotel. It's a such a dreamy place. What a gorgeous hotel! I would love to spend a night day one day. This is a beautiful place. Trust you had a great time. Whoa I'm getting so many princess castle vibes off this beautiful, elegant hotel! You have excellent taste. 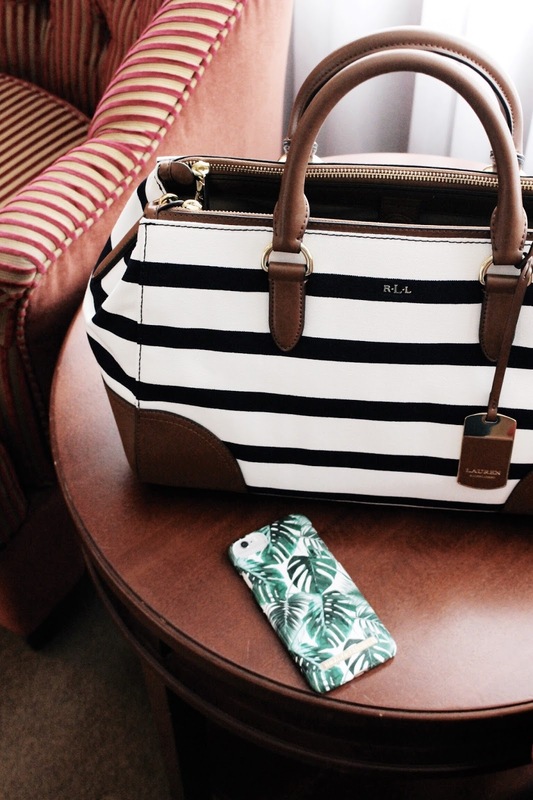 Also, I am loving your Ralph Lauren bag and tropical leaf phone case! You always know the best places to visit and stay, Gabrielle! Who wouldn't love to spend some time in such beautiful and charming hotel? Another GORGEOUS location!! I love how you captured this. Also, is there anything better than room service breakfast?? Especially when it looks like this! What a beautiful hotel and it does scream luxury! Love it!